10 Tips for Choosing a Domain Name for an Artist Website and using your Domain Name. You can’t have a website without a web address. A domain name is your website address and it is what people type into the address bar of a web browser that will take them to your site files; your website. 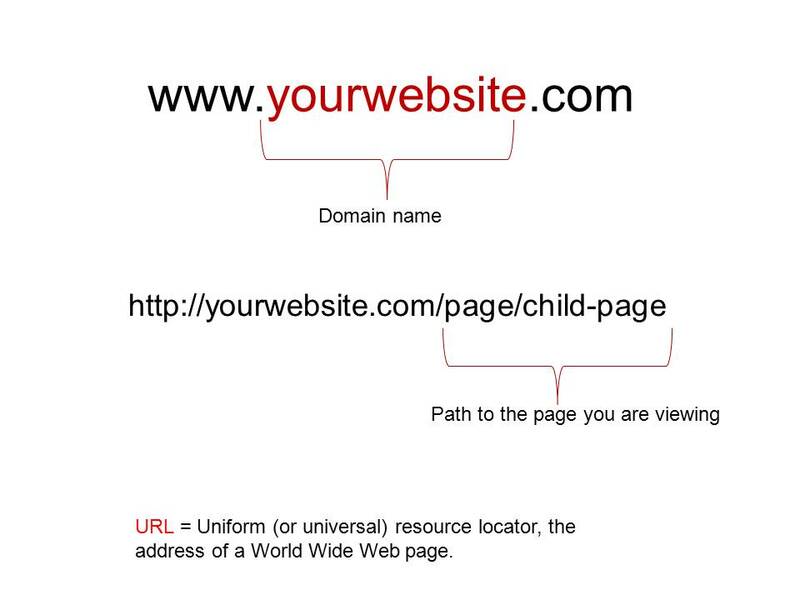 A typical URL (an acronym for Universal Resource Locator) includes your domain name plus the path to locate specific pages on the hosting server. YourWebsite.com will direct people to your landing or home page, while everything after the .com/ directs people to specific pages on your site. The www is now optional. Visitors don’t have to type it in to the browser to reach your site. Domain names can not be bought outright. You lease your domain name through a Domain Name Registrar for a period of time from 1 to 10 years. The process is called registering. If you do not renew your domain name at the end of the term it can come back on the market and someone else can register it. There is a 30 day grace period so if you forget to renew your domain name you won’t lose it if you renew within that grace period. 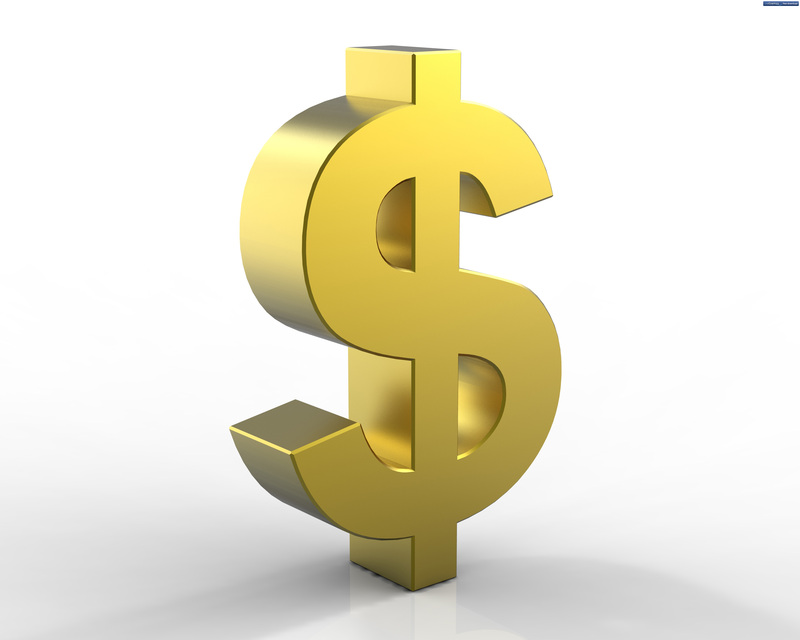 There are many registrars out there, with different prices and features. They all have access to the same central database of domain names, so there’s no difference in selection or availability of names between registrars. aside: browse the 10 tips using the Listic Slider above and see how you can use WordPress’s media library with it. 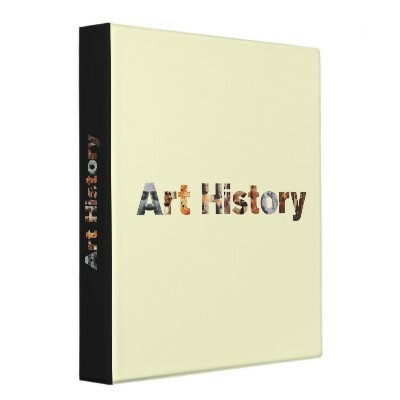 As an artist you need to ask yourself how you want to go down in art history. Choosing the right domain name is part of this decision. 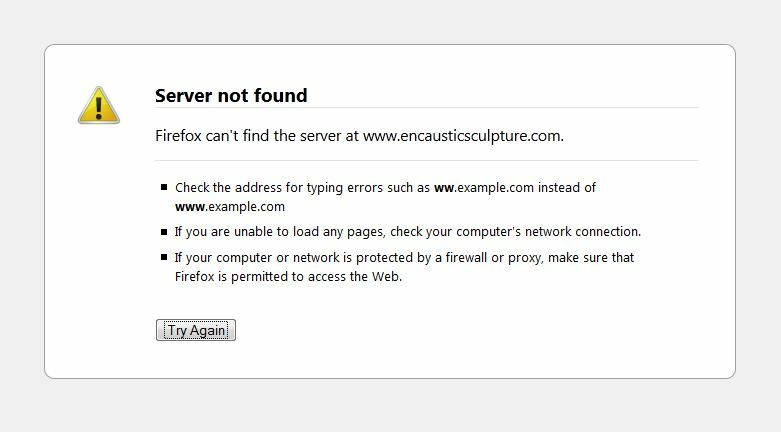 For instance choosing a descriptive or keyword domain name like EncausticSculpture.com may be what I, as an artist, have come to be known for, but it is not my brand. I am my brand because it is me, Kim Bruce, that makes the art. 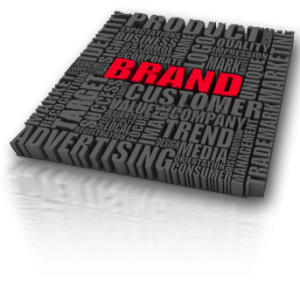 You can either focus on branding, or focus on keywords. KimBruce.ca is my brand, while EncausticSculpture.com focuses on my keywords. I have registered both and point them to the same site, but I use henigmanbruce.com as my primary domain. You can use both types of domain names and point one to the other. But I submit that if you use your keywords properly in the content of your website, your site will be indexed by the search engine for that term. Try entering the search term encaustic sculpture in Google and you will see that KimBruce.ca comes up for that term. 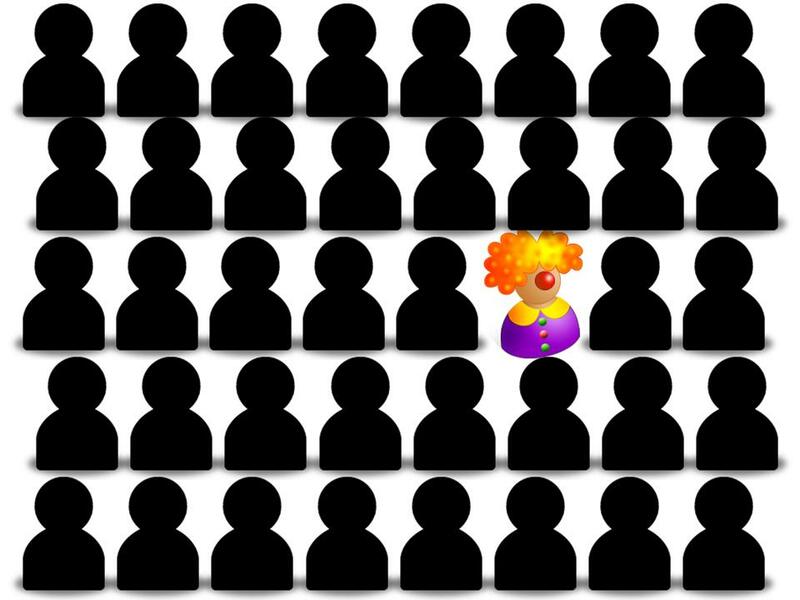 Bear in mind that using a keyword based domain name does not individualizing your work. A site with the name Encaustic Sculpture could be any ones work. Perhaps it is a site that collects images of work by all encaustic sculptors from all over the world. It is for this reason that I chose not to use it as my main domain name. 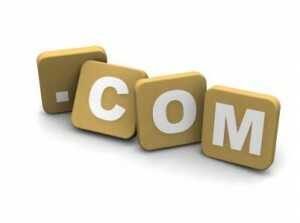 Always buy a .com if you can, it is still the most prized domain name extension (suffix). 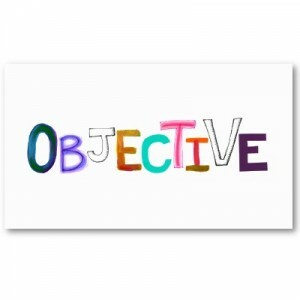 If the .com has already been registered consider adding a descriptor to your name as described in Tip #3. That is what I had to do to register a .com for my fine art site. When you create your site make sure you use “Your Name Pottery” or what ever your descriptor is in the title. Search engines will add value to your site if your domain name is in your site tile. 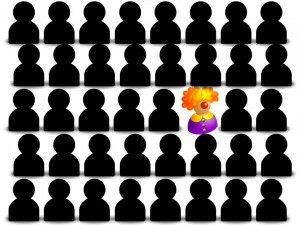 It is important to remember that your name can be registered by more than one person just by registering it with a different extension. Can all be registered by 3 different people, which in turn brings up 3 different websites. Don’t limit yourself to a single must-be-perfect domain name. Buy more than one and use domain forwarding to point them all at the same website. 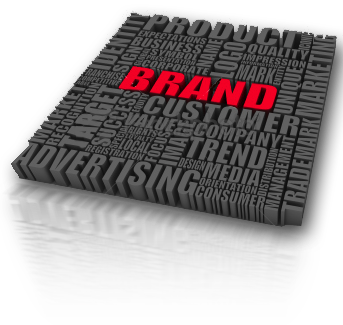 It is hard to over invest in domain names, if you can afford to buy more than one it will help protect your brand. They are around $10 to $12 each. The most I’ve ever paid for a .com domain for one year is $11.99. Find a “no explanation needed” domain name. Be aware of how you’re going to tell people about your website. You can have up to 63 characters in a domain name. That would be a long name and hard to remember. 5 to 30 characters is the norm. Don’t be tempted to use dashes or numbers if your name .com is not available. Especially Roman numerals, is it an I or l or an 1. You will be relying on people to remember that. And if it just sounds awkward when speaking your domain name, chose a simpler name. People are used to having the words run together and more than likely will not remember to add a dash. If not, think simpler, even if that means longer. Keep domains in print should be readable by human beings! When you use your domain name in print, humans are going to have to read and understand it. Capitalization is your friend for printing media since your web address (your domain name) is not case-sensitive. If people type it in the address bar capitalized or not, it will site go to your website. 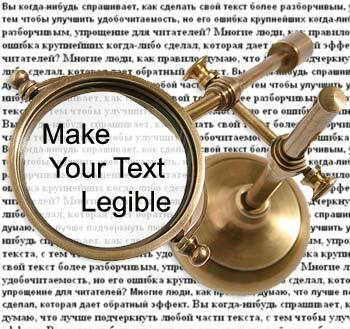 Use capitalization to distinguish one word from the next when printing business cards, brochures, catalogs. This also includes your email address. Be consistent in the way you write (type) your email address and your website address in print and in your email signature. Make sure you don’t end up saying something totally unintended. Sometimes you get unexpected results when you run an otherwise-great phrase all together in one word. 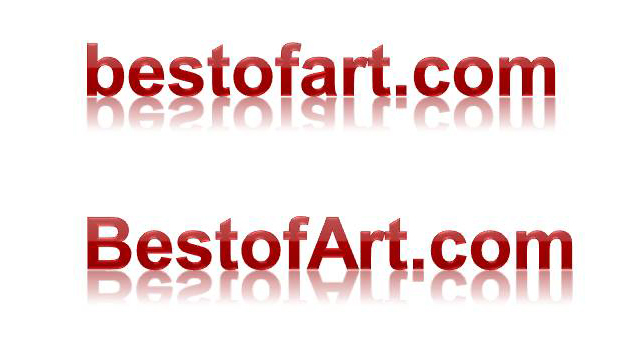 My favorite example is a company called Best of Art. When you put that together, you get bestofart.com Oops. Try a less gassy combination of words. You can not count on people to use your selective first letter capitalization. When you are considering a domain name, remember that you are going to run it all together with no spaces. As I mentioned in Tip #9, you can use selective capitalization to help out, and you can register domain names with hyphens in them. Ask somebody to look at it. Get a fresh set of eyes to check it out before you purchase a domain name. Choosing a domain name for an artist website is what you will be building your online reputation on. Once you register and build you site with your domain name of choice, search engines are going to index that way, make sure it is how you want to be known. That’s because you do not have a website or hosting yet. To use an analogy; just because you bought a parcel of land doesn’t mean it will automatically result in a house being built on it. You have to build it. I always recommend that you keep your domain name and hosting accounts separate. Name Cheap offers a clear, no-nonsense website that lets you easily register your domain name. Once you have your domain name and hosting accounts the domain name servers need to be change at your domain name registrar to point to your hosting account. 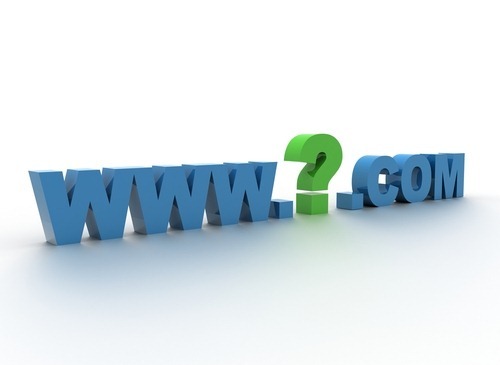 Would you opt for one of the new top level domains or stick with a .com for the main site? I’m working on a website right now and own both msrart.com and msr.gallery but am not sure which one is better to use as the main site, or if it even matters which one I use, and just forward the other one. No Micheal I wouldn’t opt for one of the new top level domains, not yet anyway. Buy it and point it certainly but people still look for simplicity and believe it or not .com is still the most prized. I found a good article on the new gTLD’s at http://www.zdnet.com/ready-or-not-here-come-the-new-internet-top-level-domain-names-7000025744/. For those of you who may not know the gTLD’s are extensions like .cheap, .coffee and as Micheal has .gallery. These would replace a .com for instance. These are all very useful tips and guidelines. The only thing I would add is that if you have multiple art websites (which is well recommended), it’s important to forward them in the right way to your main domain. When this is not done properly, and all your websites get indexed in search engines like Google, they might regard this as duplicate content and you could get penalized for this.